Businesses are looking for new ways to collect, manage and analyze data to make better and more informed decisions, but they are missing the mark. Data is not just about the tools. 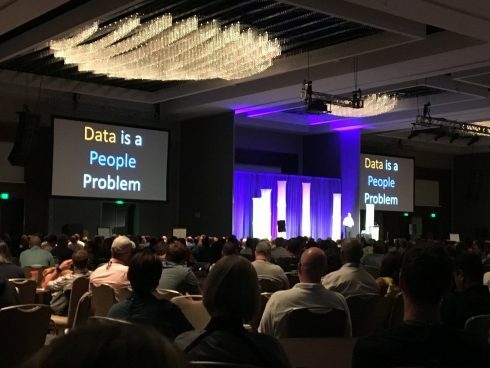 The number one problem to using data to your advantage is people, according to Troy Magennis, an Agile consultant and founder of Focused Objectives who made a keynote presentation at the 2018 Agile conference in San Diego this week. According to Magennis, you can collect all the data in the world and make charts and dashboards, but if people don’t understand what you are trying to tell them — it is not going to make a difference. That means the way in which we present data in order to get understanding conveyed is very important. “Stop using boring plots,” Magennis stated. “That is not going to convince anything to anyone.” Some ways to do that is to present data in a visually compelling way, and compare it to other scenarios that might make it easier to understand. Organizations are still just in the beginning of this journey of understanding how to do data and how to do it well, and businesses need to move to measuring value and outcomes rather than output, according to Magennis. In order to learn and learn fast, businesses have to be able to accept bad information too, meaning uncertain information that may set you back, but may provide more value than “good information.” Uncertainty is a strategic weapon and being able to embrace unpredictability is a bold movement, he explained. Forecasting and estimates should not tell you if you are right, they should detect if you are wrong and discover what you missed. Some best practices include experimenting, using the most recent 10 samples when forecasting with historical velocity or throughput data and starting early. “Forecasting is about knowing when to start,” he explained. 5 best soundboard apps for Android! 10 best weight loss apps for Android! The RyuJIT transition is complete!